You do not want any ‘spider webbing’ what-so-ever… learn how to prevent this and read on! 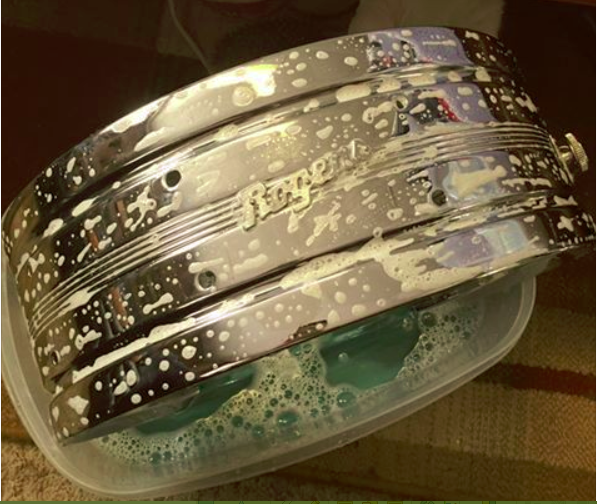 * Never Steel Wool to clean chrome drums. * Never Ever. Never dry wipe a dirty drum. * Never attempt to clean a dirty drum without a full, and careful disassembly. * Never use a power operated tool for disassembly or assembly. * Get the right tools for the job, in good condition, and don’t cheat. * Dawn (or equivalent) liquid dish soap is safe on chrome. * Stay away from rough fabric and use only soft cotton cloths. * After disassembly soak parts in a solution of Dawn (or any soft water suds maker) and water for several hours. * If the [your] shell has no paper tag or other badge that would be damaged by immersion, soak that also. If it does use damp cloths to saturate the grime on the shell, and then, once saturated, clean it. * Always ‘SAVE’ any provenance tags / originality! * Rinse to remove all residue, and dry. * For your parts… clean, rinse and dry. Then use your polish of choice… Meguire”s, Mother’s, Blue Magic, Flitz, and Never-Dull, are just a few brand names of products that are safe for chrome with no abrasive qualities! * Be sure your fastener threads are clean with any spall (look it up) – especially with thread cutting fasteners removed from the threads, and any residual removed from the lug bosses and other parts. Carefully start the screws so that no cross-threading occurs. * Do not over tighten anything! And if the job is beyond one’s individual skill, please consider hiring a professional. Since its inception in 1968, Deep Purple (the band of course) continues to this day with ‘3’ core original members, inclusive of… Ian Paice on traps, Ian Gillin on vocals, and Roger Glover on Bass. And as of 1994 the wonderful ax-man, Steve Morse, joined the group. Ron Airey has picked up the keyboard duties hence the departure of previous keys man, Jon Lord. In April (2017) Deep Purple has a brand new album titled Infinite coming out, and they will be touring shortly thereafter, what they’re dubbing, their Long Goodbye Tour. This video spends some time with Ian Paice and Roger Glover and they further discuss the history of DP and their new projects… and, what could be their last road gig! In the late 60s and early 70s Mott The Hoople was (of course) an English rock (with some glam slants) band that had R&B chops as their roots. They provided some very interesting and strong original sounds for sure. Drummer Dale “Buffin” Griffin died January 2016 after being diagnosed with early-onset Alzheimer’s… And in January 2017 Mott the Hoople Bassist, Peter Overend Watts Died due to throat cancer. Their radio cut, “All the Young Dudes” (written by David Bowie) will continue on as a mainstay of their cult rock music. Here’s a video from one of their last concerts (via 2013) – and below you can read further about their career in a special blog released by By Nick DeRiso for Ultimate Classic Rock .com. 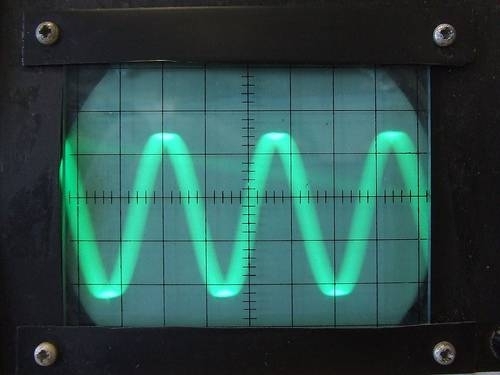 Give me my analog tube amplifiers and my screaming ‘steel’ stringed guitar opposed to digital devices, for any live stage or studio experience. Playing cover songs is in itself a artistic technique… However, some will argue that playing cover tunes your ‘own way’ is truly a real art form. Take for instance the Vanilla Fudge band from the 60s… Now these guys really knew how to twist a cover tune. Considered one of the originators of rock covers, Fudge had an uncanny knack of taking a song and making it actually so unique that it became a tune of its own. I remember not being a big fan of Sonny and Cher… but after hearing their rendition of ‘Bang Bang’ Vanilla Fudge just knocked my socks off with a take on this tune that… well, just made it better! Anyway… the article below gives credence to which I speak and hopefully will provide you with a great flashback and for the millenniums a new appreciation for twisting cover songs. 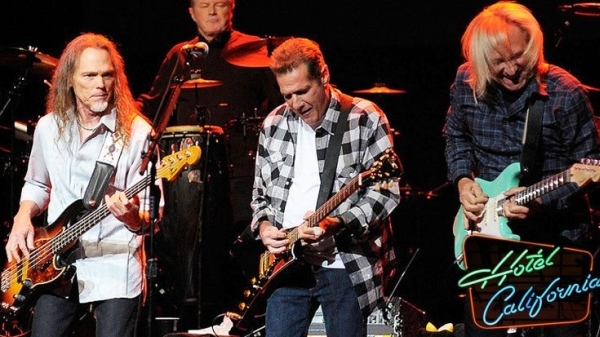 The Real Truth Behind The Lyrics In “Hotel California”—It’s Not What You Think! Anyway, this article mentions a quote from Don Henley that sheds some truth behind the song… check it out. 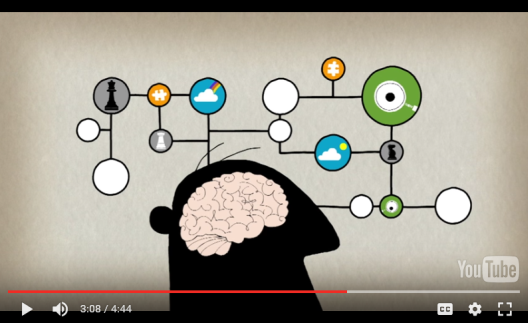 It probably goes with saying… playing music stimulates our brain. This article goes further into describing the difference between listening to music and actually playing it. When we ‘jam’ our brains light-up with inter-related connections that enhance most every activity and function… including fine motor skills that invoke both hemispheres of the brain. When you consider most rock and country chords are the same basic 1,3,5 or 1,4,5 structures, it’s a wonder everyone hasn’t sued ‘everyone’! Now, maybe you hear the ‘very’ similarities to Ed Sheeran’s song, Thinking Out Loud… to that of Marvin Gay’s decades old song, Let’s get it on… but I don’t! I mean, there are a ton of songs on the marketplace that resemble each other to a certain degree, yet in this case I can’t find a very close resemblance thereof. 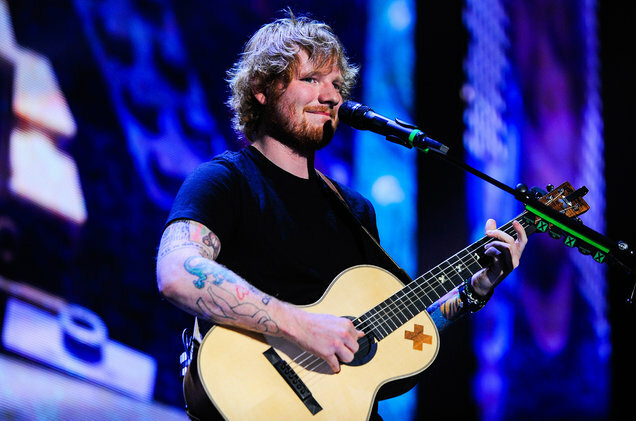 … The family of Gaye’s co-writer on the track, Ed Townsend, is pursuing legal action against Sheeran for lifting the the melody, harmony and rhythm from “Let’s Get It On” for his own song. 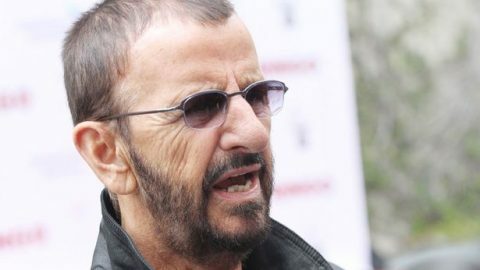 In this article, Ringo Starr brings up some interesting facts. His first fact is really relative to his up-bringing in the ‘pre-digital’ music world. I can see his point to some degree, yet, this is the latest age we are living in and one must adjust. Music videos have been around for a few decades now… However, attempts to make your entertainment vids fast and easy continue to earn its stride. Musical.ly is the first real social network that has reached an audience, young as small humans to the oldest of wisdom-hood. 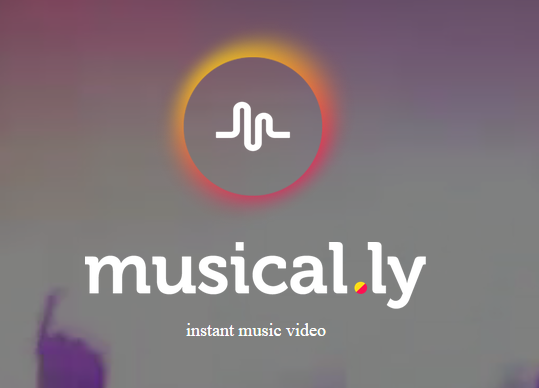 Potentially, musical.ly will allow the younger and older generations to generate content in ways that they can’t produce as easily on their own. It is democratizing content creation by providing the resources (i.e., filters, control over video speed, access to professional audio) to make fun and entertaining content. I may not be the best at layin’-down super guitar chops, yet, even I can create something fun without understanding a lot of post-production-editing skills. You may find this ‘app’ worth looking into if you are considering a quick video about your musician self or with your band. 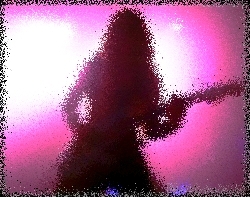 Tapping on Guitar… who started it?